Masarrat Khan from Maharashtra Dyslexia Association, Deonar, Mumbai sent us the following story. 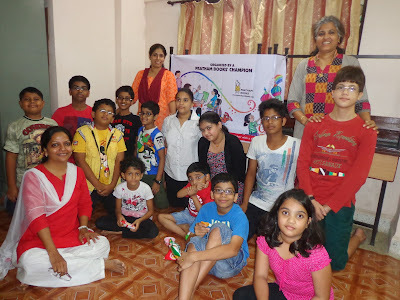 Maharashtra Dyslexia Association (MDA) caters to students with Specific Learning Disabilities (Dyslexia, Dyscalculia, Dysgraphia) and associated difficulties such as Attention Deficit Disorder and Motor Coordination. Typically, students come in for individual remediation sessions two to four times a week for an hour. 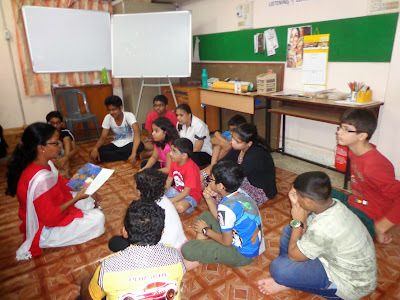 Pratham Books’ observation of World Literacy Day gave us a great opportunity to organise a fun group session around reading and comprehension, an activity that our children find particularly daunting. Thirteen of our students, aged nine to fourteen, turned up for the event at our Deonar Centre. A big cut-out of Paplu the Giant, pasted on the entrance door, welcomed the students and acquainted them to the hero of the story. The narrator (Special Educator Fatima Martins) sat with the students around her in a semicircle to read the book. Performance techniques using the multi-sensory approach were applied throughout the narration. Students walked around, moved like giants on tip toe, repeated rhymes with actions, and mimicked play with their partners. 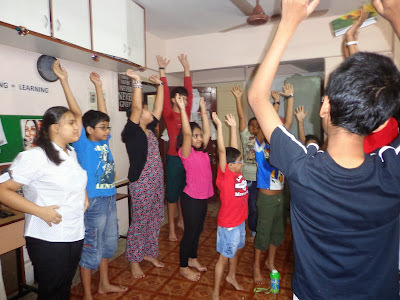 Key words were repeated, plot and theme was re-emphasized, and synonyms using Hindi and Marathi words were added to aid comprehension. 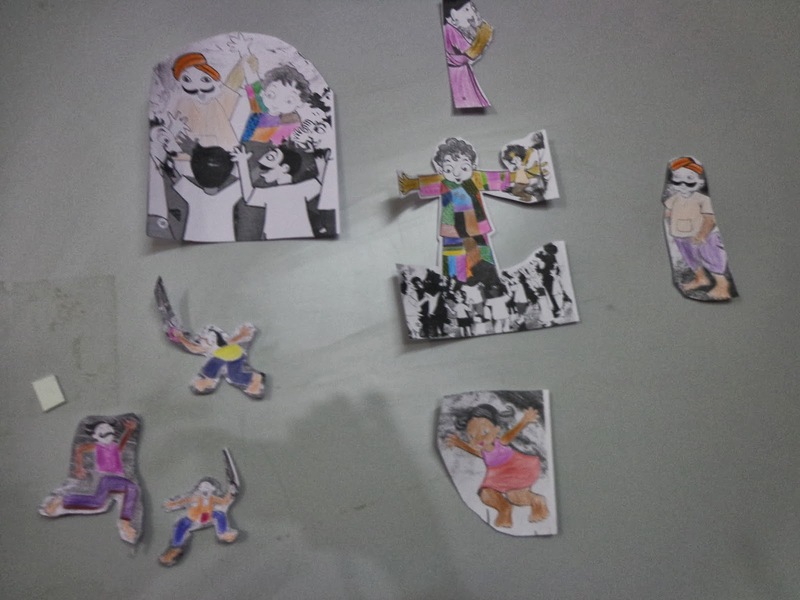 Simultaneously, one of the older students took up the responsibility to plot a visual map as a memory technique and created story skeletons to help remember the key events. 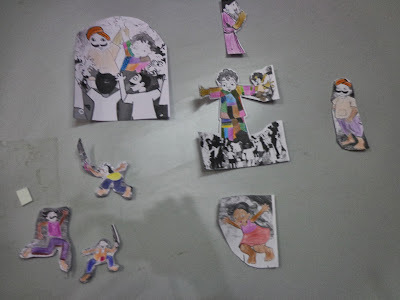 This helped the students to think of the plot as a film or a series of connected images. They also examined number concepts, such as age and fractions, related to the characters in the story. At intervals, the story was recapped to create link and association. Rhymes, tongue twisters and baby talk took the older ones by surprise, while the little ones were very amused. The students recited the rhymes a couple of times with actions. 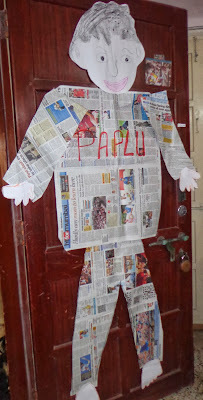 They also enacted the characters of Paplu and Soni along with the narrator. By the end of the story, the students eagerly retold the story - plot, characterisation, setting, theme, climax & resolution - from different points of view, all with the help of the visual pictorial mind map. Finally, they used pencils and crayons to recreate the scenes that captured their imaginations, on paper. 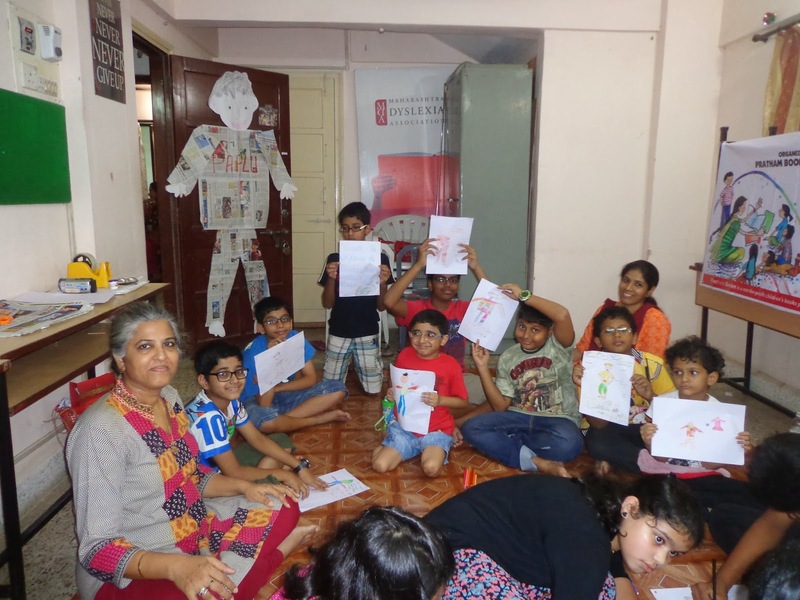 Paplu and his friends continue and will continue to excite the imaginations of our students well after WLD, providing valuable fodder for writing and language activities during their remedial sessions. 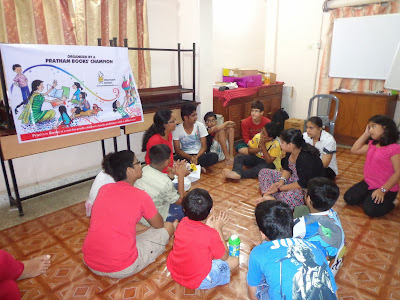 Thank you very much, Pratham Books, for including us in this year’s World Literacy Day celebrations. 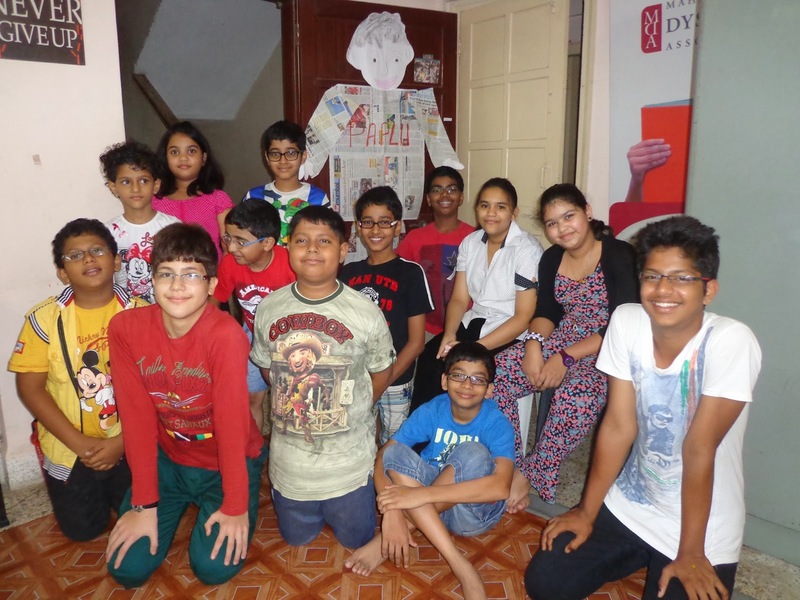 Thank you Maharashtra Dyslexia Association for spreading the joy of reading!